Being someone who has raised sheep and owned a couple of rams, I appreciate the majesty related to them and the very cool look they have when displayed in an art form. There are a variety of ram types, but I'm not going to get into that, as we're focusing on getting ideas for tattoo design themes. While the way a ram can kick up and strut his stuff in real life is amazing to watch, along with the occasional head-on collisions they have when engaging in battles, that really isn't displayed much with tattoos. Rather, it's the powerful horns the artists choose to focus on, and rightfully so. One final word on ram tattoos. 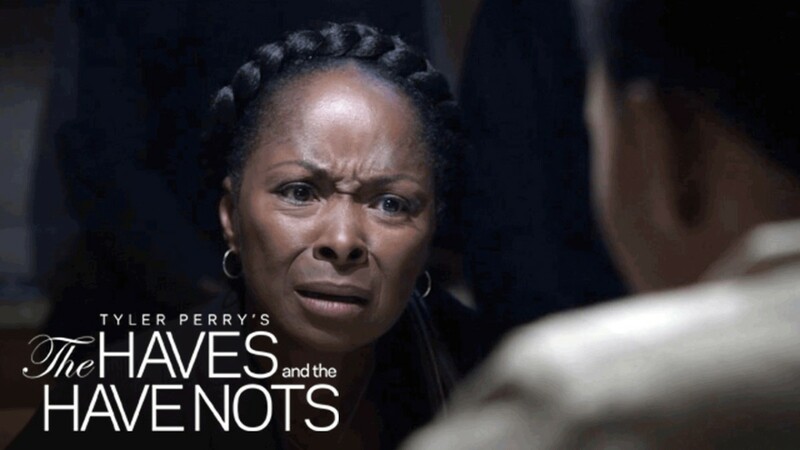 Many of them are created in reference to the sign Aries. 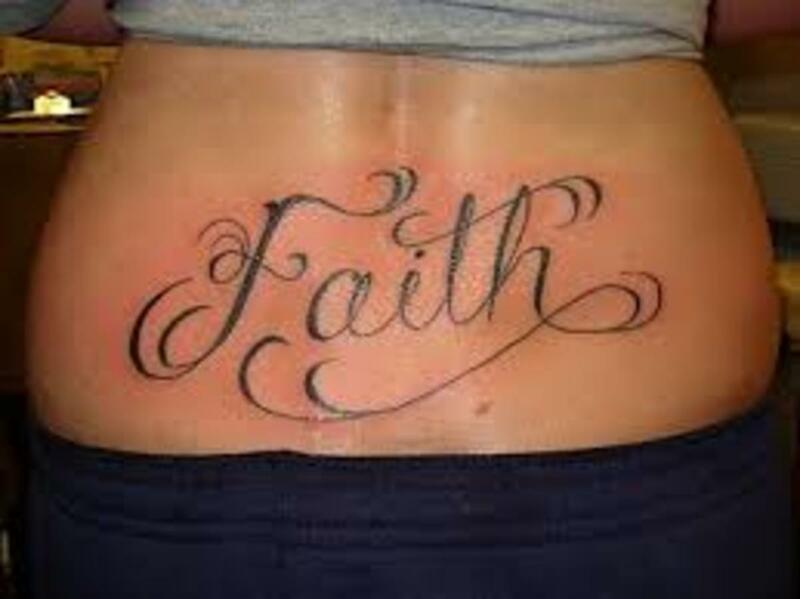 But that, in the majority of cases, isn't always known by just looking at the tattoo. Either way, the ram and its horns are a majestic image to look at, and tattoos are a great way to display that majesty for others to appreciate and the bearer to enjoy. Rams are extraordinarily powerful. See that spot on the forehead of the beast? That's where two rams will hit together when fighting for breeding rights. While raising sheep and goats, I've been hit by goats heads before, and even the miniature goats can pack a wallop. For rams, you could hit them hard with a hammer in the middle of the head and they wouldn't even be phased by it, that's how strong they are and how tough that area is. 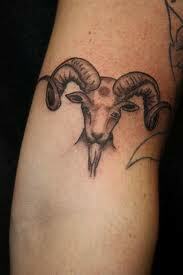 If you're ever looking down at a ram in the position this one in the tattoo is in, you better be careful, he may decide he's going to take a charge at you. It's a rare event of course, but it isn't something I would wish on anyone. It's not often I get to see and comment on two tattoos of the same design but on different people and of different sizes. 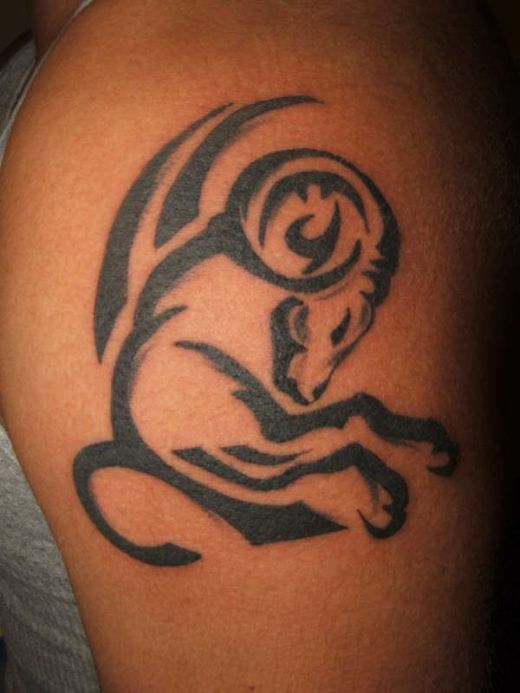 These two ram head tattoos fit that bill, and are a good way to compare placement and sizes as to the quality of the image. First of all, are they in reality exact? Yes and no. I don't believe there's any question they were from the same template. But you can see the size of them does in fact force the artist or artists to make some modifications to fit it into the location desired by the client. 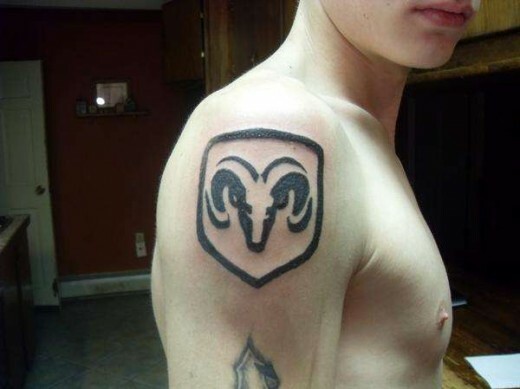 The top tattoo is obviously smaller and had to be pushed together more to fit it on the shoulder in a way that would allow the overall ram head to be seen. For the bottom tattoo, that wasn't an issue, and the larger image allowed the artist to spread out the lines more and make it much cleaner. Both look good, but I see the tribal ram tattoo on the bottom as a superior work. 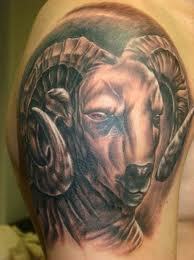 This is an amazing ram tattoo, and the detail extraordinary. Having said that, the face is odd looking to me, and almost gets the feel of being part ram and part human. As mentioned above, it may have to do with size constraints and having to push the image together, making it look somewhat strange. Still, the detail work is amazing, and the shadowing and color very compelling. Are You Considering a Neck Tattoo? 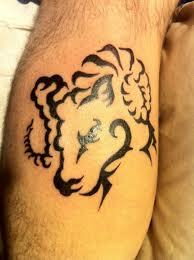 I thought it would be fun to include this Ram truck logo in the ram tattoo mix. It has nothing to do with Dodge or anything like that, but company aside, it's really a great tattoo image, and one that I find very well done. 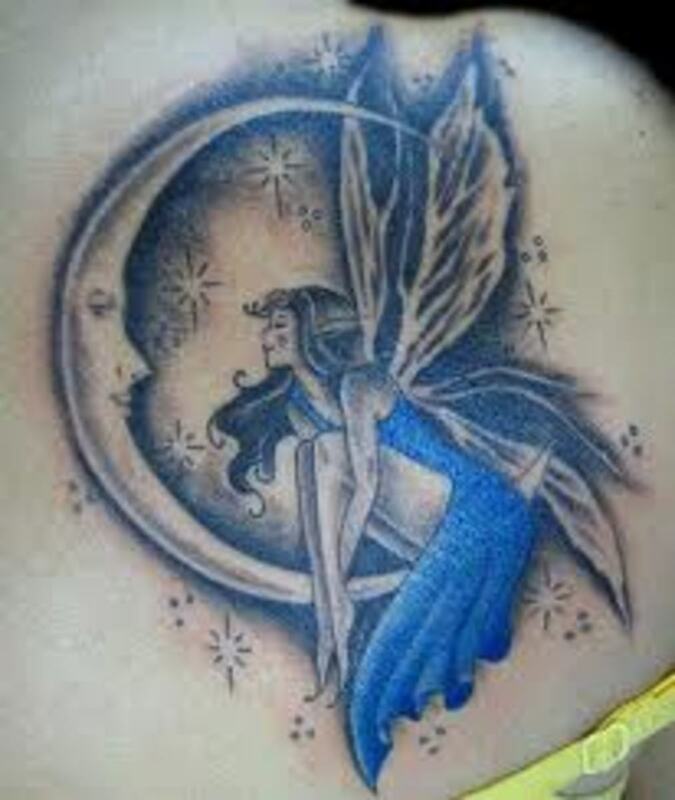 That is mostly because of my predilection toward dark lines, shadow and color, all of which this tattoo has. 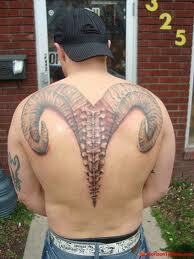 This was presented as an Aries tattoo, so I'll go with that. But the majority of people seeing it would just think of it as a cool tattoo of a ram's horns. This was also very quality in detail, and the result of a good artist and the subject material as well. Here's another tattoo that is one I like personally, as it also displays the qualities I like in a tattoo, including the dark lines already mentioned, and the way the lines flow. The additional tribal effects go well with the theme. The shape of the rams head, including the horns, does make it a difficult subject to place on the body, especially when it's on the arms and legs. That unfortunately hurt this otherwise extraordinary piece of body art. What the problem is is the image just can't be put in that small of a place if you really want to take advantage of the quality of the subject matter. Even so, this is a magnificent look at a majestic ram sheep. 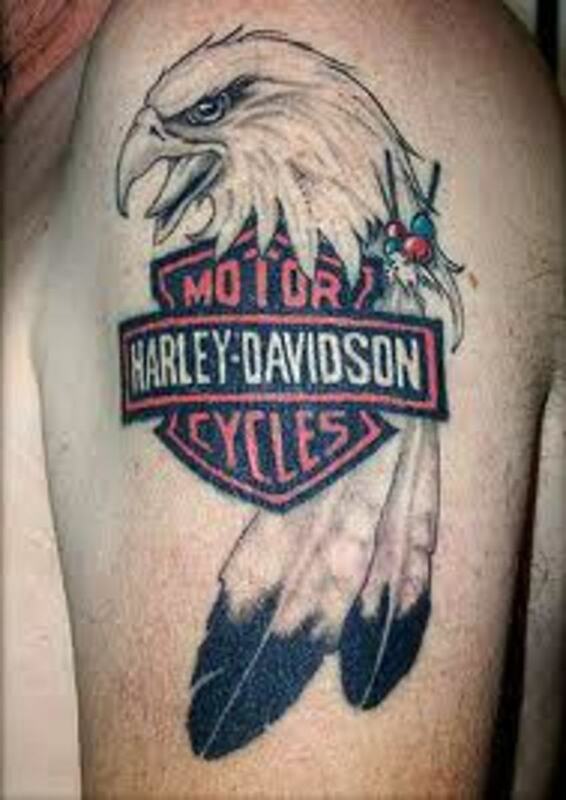 Ram tattoos, as you can see, are an excellent choice for those looking for a quality theme that can be proudly displayed. As always, there are a variety of options within the genre, and all of them look great. One thing to keep in mind is the placement of the tattoo, as it could make it difficult to design and display in the way you had hoped.